It’s the feast day of St. Matthew today. 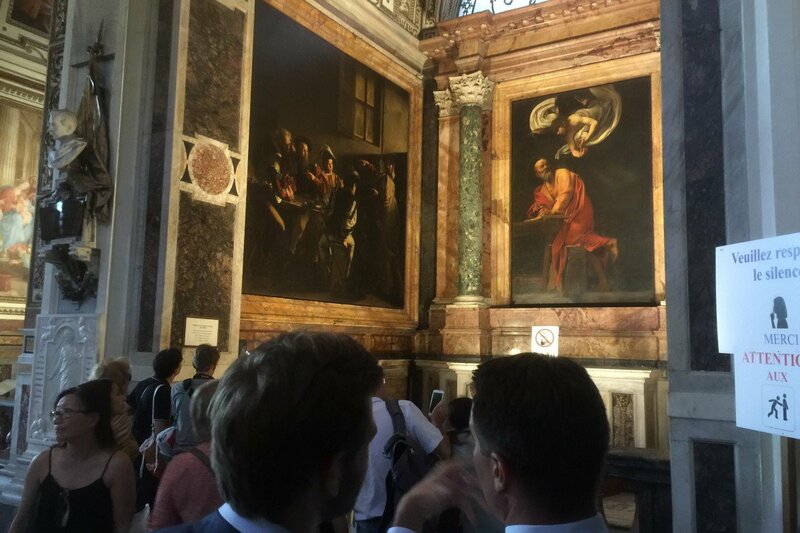 Caravaggio‘s Calling of Matthew and Pope Francis’ frequent comments about the painting provide a great inspiration and Francis has called this painting one of his favourite works of art. 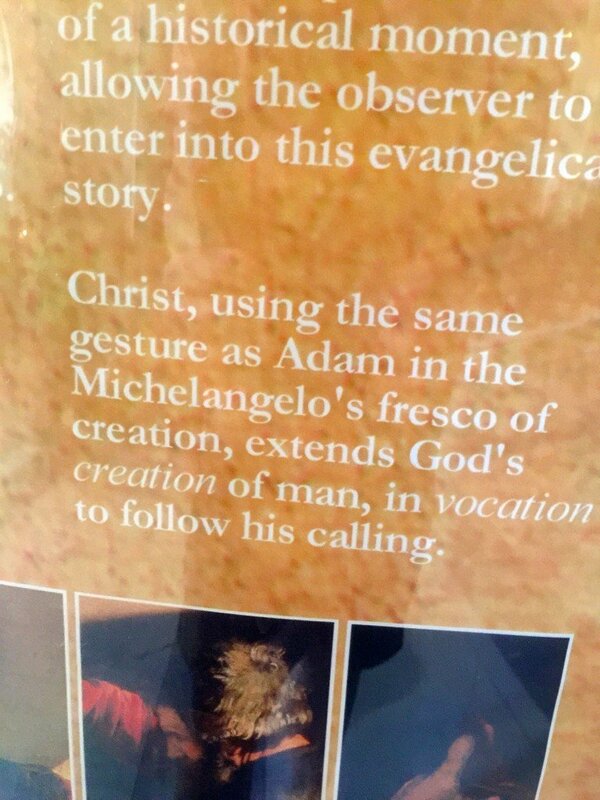 It can be seen at the Church of San Luigi dei Francesi in Rome. While crowds flock to see the painting, the chapel and especially the area around this great work of art is a place of prayer. People are captivated by the work, and it is difficult to remain a spectator when in the presence of the painting which demands a participation. The viewer quickly becomes the one called in the heart of the action. 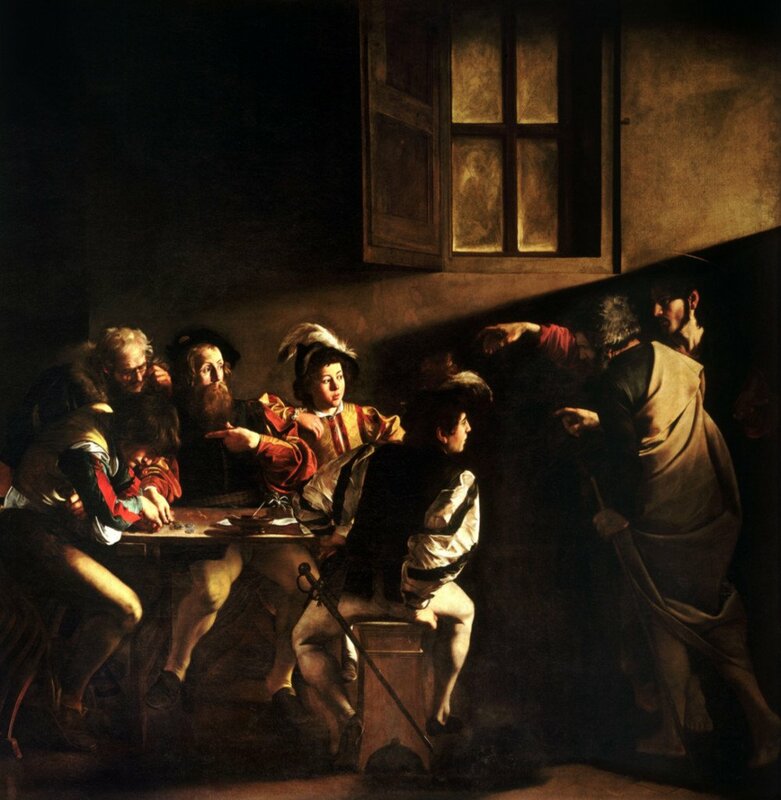 Speaking about the encounter brings to mind “The calling of St Matthew”, the Caravaggio in the Church of St Louis of the French, which I used to spend much time in front of every time I came to Rome. None of them who were there, including Matthew, greedy for money, could believe the message in that finger pointing at him, the message in those eyes that looked at him with mercy and chose him for the sequela. He felt this astonishment of the encounter. 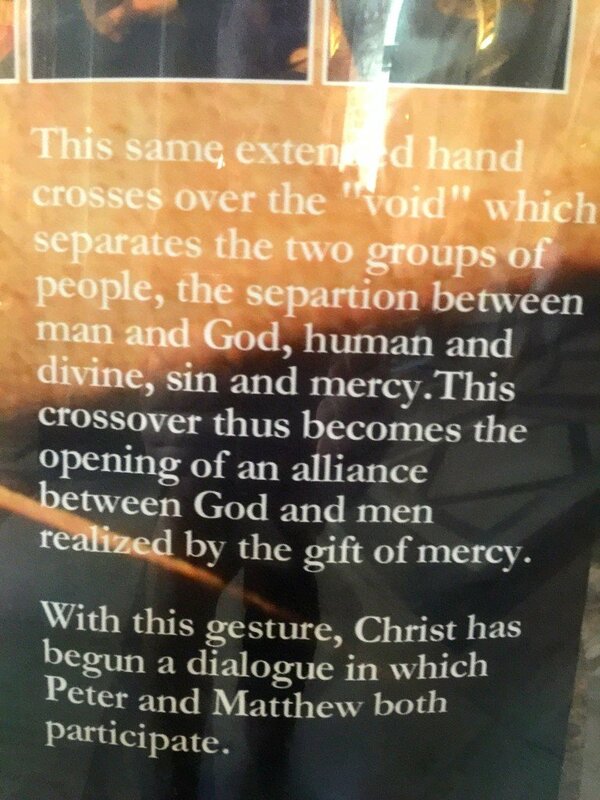 The encounter with Christ who comes and invites us is like this. 2 Responses to "Mercy & Matthew"
the 2nd reference to this painting, the hand, the finger, and Pope Francis in less than a week. There must be a message somewhere in this. 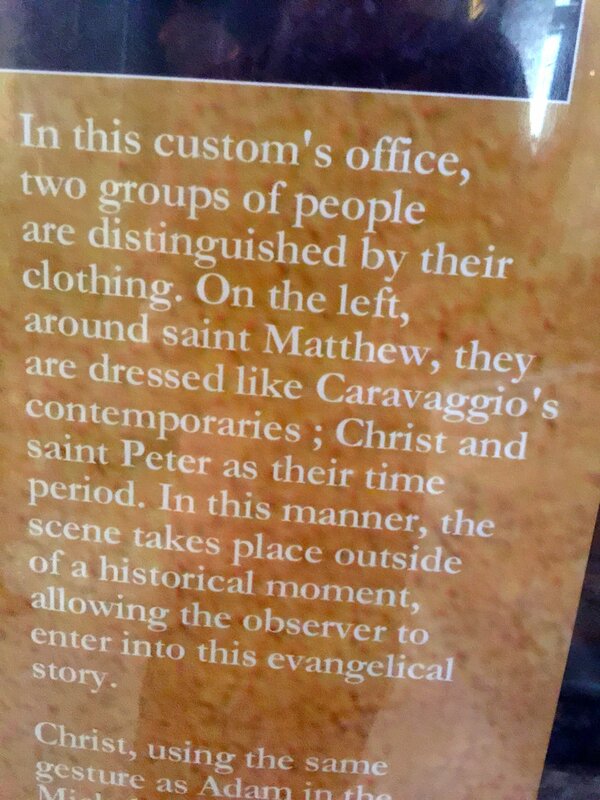 Matthew was not unique. 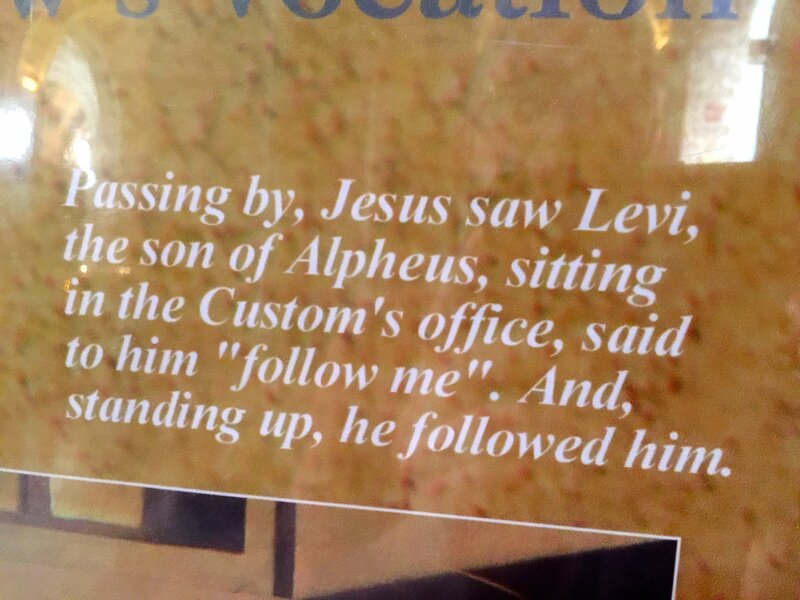 Jesus calls us all like this 0 away from some attachment tofreedom, away from ideas about God to experience of God. What’s more, the calls will keep coming, each to a larger place. Each time we answer the call, what we leave behind becomes a part of wisdom.